From October to November 2011 I was an artist in residence at the Babayan Culture House in the region of Cappadocia, Turkey. The residency is housed in a multi-roomed cave house located in the small farming village of Ibrahimpasha. Each year artists are invited to explore the village and its surrounding valleys, to intermingle with locals and to develop an artistic response. In Ibrahimpasha the traditional farming life is swiftly giving way to westernized modern existence and I wanted my work to acknowledge my perspective as an agent in this change. 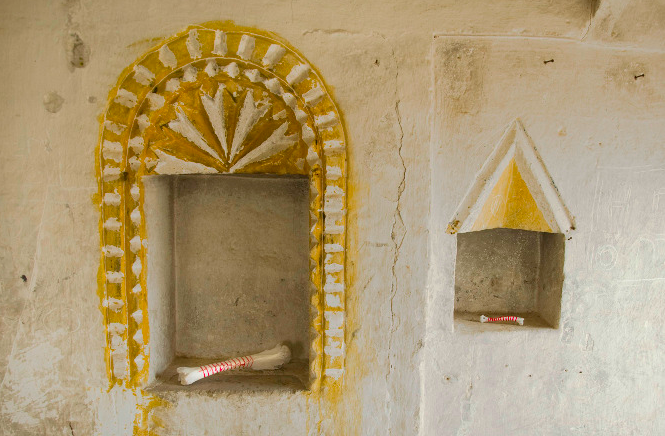 I observed village life and gathered artifacts, transforming them through a series of simple manipulations and placing them in one of the abandoned cave houses for other artists, tourists and villagers to consider.